Inhalation is the most common route of exposure for employees to most toxic materials in the workplace. Selecting and utilizing the appropriate respirator can be quite confusing and difficult. Employers and employees must get a firm understanding of respirator basic knowledge in order to increase respiratory safety in the workplace. Canister or Cartridge: a container with a filter, sorbent, or catalyst, or combination of these items, which removes specific contaminants from the air passed through the container. 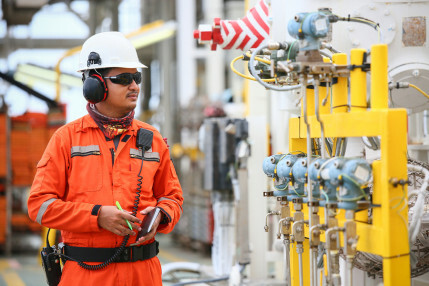 Employee exposure: exposure to a concentration of an airborne contaminant that would occur if an employee were not using respiratory protection. Fit Factor: a quantitative estimate of the fit of a particular respirator to a specific individual. Fit Test: the use of a protocol to qualitatively or quantitatively evaluate the fit of a respirator on an individual. Fogs: are vapors which have condensed into tiny airborne particles or droplets. Gases: materials that become airborne at room temperature. Mists and Sprays: very small droplets of liquid materials suspended in the air. Oxygen Deficient Atmosphere: an atmosphere with an oxygen content below 19.5% by volume. Service Life: the period of time that a respirator, filter or sorbent, or other respiratory equipment provides adequate protection to the wearer. Vapors: substances created when a solid or liquid material evaporates. Air Purifying Respirators (APR): a respirator with an air purifying filter, cartridge, or cannister that removes specific air contaminants by passing ambient air through the air-purifying element. Cannot and must not be used in oxygen deficient atmospheres! uses a blower to force the ambient air through air-purifying elements to the inlet covering. Atmosphere Supplying Respirator (ASR): supplies the respirator user with breathing air from a source independent of the ambient atmosphere. Supplied Air Respirator (SAR): an atmosphere supplying respirator for which the source of breathing air is not designed to be carried by the user. Self Contained Breathing Apparatus (SCBA): an atmosphere supplying respirator for which the breathing air source is designed to be carried by the user. What type of contaminant is present? What is the form of the contaminant? How toxic is the contaminant? What is the concentration of the contaminant? Please consult with the OSHA standards to get more details of respirator safety. 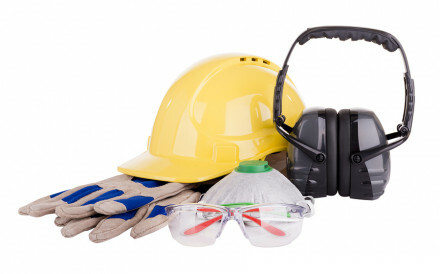 Starting a Personal Protective Equipment program for general industry? Follow the following checklist to ensure your program is OSHA compliant and your related trainings are efficient.